You will often find that motorcycle insurance groups seem to have no industry standard and the way that insurers apply pricing groups to motorcycles varies. They can range based on the scale that the insurer uses, be this 1 – 17, 3 – 17, 1 – 22, 3 – 50 etc. and some insurers use letters instead of number… hence the reason so many riders are confused by it! To make things more confusing you’ll usually find that cars are grouped between 1 – 50 and the groupings are industry-wide and accepted as standard. How do motorcycle insurance groups work? Motorbike insurance groups, put simply, are a way of pricing your bike for the purpose of generating an insurance premium. We are often asked ‘what insurance group does my motorbike fall into?’, but the answer depends on which insurance company you ask. The insurance group is based on performance, newness and value of the bike. So, if it’s low value and low performance it’ll be a lower grading; high value plus high performance it’s going to be up there in the higher numbers. If a particular Insurer has experienced a higher pattern of theft claims for a series of bikes – they may choose to raise the grouping. In general the lower the number, the cheaper the bike is to insure, but remember it’s not just you’re the bike that can drive up the cost of your insurance. A high powered bike, especially sports styled ridden by an inexperienced rider would be considered high risk by insurers and therefore the risk is assessed in this way with a higher premium and/or restrictive terms imposed. The best advice for new riders is to get a lower powered bike, build up your skills and riding experience. This will demonstrate to your insurer that you’re a lower risk and also, it will keep you safer in the meantime. 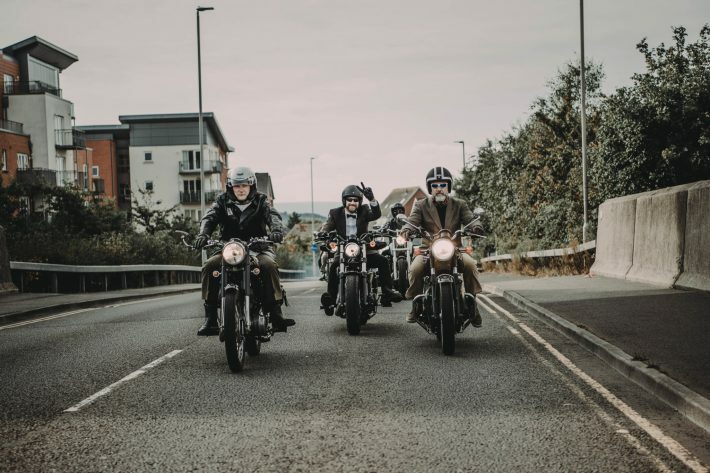 We know it’s tempting to get that dream bike when start off, but good things come to those who wait, enjoy the journey to gaining experience, and become a better biker first! There is no flat rate cost for a motorbike in a certain insurance group. If you’ve ever taken out motorcycle insurance before you know that there quite a few questions that you need to answer in order to generate a premium. This information is used by underwriters to assess how much you should be charged to cover your likelihood of having an accident / bike being stolen. The motorcycle specification and performance only makes up part of their assessment. Many other factors are equally important such as; where you live, your occupation, what security you use, your experience, your history of using other vehicles. Once you’ve looked at the bikes in the low insurance groupings list and then the following bikes would fall into the high insurance groupings, you’ll begin the get a feel to how the insurance groupings work. Bikes of medium power and value and as either of those increase then you’ll start to head towards the higher groups. Again, your bike is only one factor in generating your premium, so do everything you can to make the rest of your risk more attractive to underwriters, with security and experience being the main things you can influence. In summary, there is no industry wide motorcycle insurance grouping system in the UK, that is followed by all underwriters. It’s a simple case of the higher the value and the higher the power, the higher the insurance could be, but there are many other factors that will influence it. If you have a higher powered bike but tons of claim free experience riding such bikes, it may not be an issue, compared to those who have no experience riding a powerful motorcycle.